In Tennessee, Driving Under the Influence (DUI) is a serious crime, subjecting offenders to harsh penalties, which include mandatory jail time, roadside litter pick-up and loss of one’s driver’s license. Hiring a Knoxville TN DUI Lawyer (or a Tennessee DUI lawyer in the jurisdiction in which you were arrested) is one of the most important decisions you will make if you are arrested for a Tennessee DUI and should not be taken lightly. Although we understand the growing problem of DUI in our society, the often-overlooked fact is that innocent persons are charged each day with this offense. Furthermore, it is the philosophy of our Knoxville DUI Lawyers to vigorously protect the constitutional rights of Tennessee citizens. Therefore, even if you believe you may have been driving under the influence at the time of your arrest, you may be able to win your case if your constitutional rights or other rights guaranteed under Tennessee law were violated. The mission of the Knoxville DUI Attorneys of the Oberman & Rice Law Firm (formerly The Oberman Law Firm) is to zealously represent our DUI and criminal defense clients while maintaining the highest standards of professional responsibility and ethics. 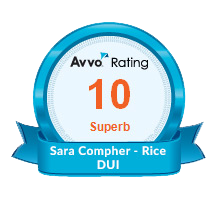 Of equal importance, our Knoxville DUI lawyers Steve Oberman, and Sara Compher-Rice as well as our staff strive to provide exceptional service to our clients and pride ourselves on prompt and thorough communication. 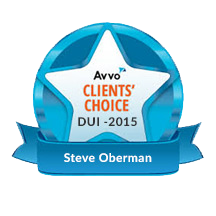 Due in part to the work ethic and dedication of the Oberman & Rice law firm to our clients, several national organizations and publications have honored our Knoxville DUI Attorneys. For instance the renowned Martindale-Hubbell™ rating system has bestowed the firm with the highest rating for law firms. Additionally, our Knoxville DUI Lawyers have received numerous honors from many legal organizations, recognizing their exceptional skills. If you are arrested for a Tennessee DUI, the immediate decisions you make about your DUI defense and your Knoxville, Tennessee lawyer will greatly affect the outcome of your case. Your chances of achieving the goals in your case increase dramatically if we are able to begin our DUI investigation within 72 hours of your arrest. This is true whether you are charged with a DUI or a related offense, such as Implied Consent Violation, Underage DUI, Underage Consumption, Drug Possession, or Traffic/Speeding Offenses. This is particularly true in Commercial Motor Vehicle (CMV) DUI and other CMV Traffic Offenses in Tennessee. DUIKnoxville.com provides a number of resources to assist you in making the best decisions when it comes to hiring a Knoxville DUI Attorney and defending your pending Tennessee DUI charge. We hope you will find our Tennessee DUI Law resources useful. Tennessee DUI laws are constantly changing and evolving. As part of our commitment to providing the best possible criminal and DUI defense for our clients, the Oberman & Rice Law Firm endeavors to remain on the cutting edge of defense techniques and strategies by attending and teaching at the most advanced seminars in the country. For instance, Mr. Oberman has lectured to thousands of lawyers in more than 20 states about successful methods of defending drunk drivers. Sara is also an accomplished speaker who teaches on both a state and national level. Steve and Sara not only focus their practice on defending those charged with a Knoxville, TN DUI, but also frequently handle other criminal cases as well including traffic, alcohol, drug, or other driving-related offenses. Unlike Knoxville DUI attorneys and Tennessee DUI lawyers who use mass mailings to lists of people recently arrested we limit the number of cases we accept to ensure we devote the necessary time and effort to provide each of our clients the personal attention they deserve. The Oberman & Rice Law Firm also produces a DUI Law Podcast to explore issues surrounding Driving Under the Influence laws. The podcast features Knoxville DUI Lawyer Steve Oberman, former Dean of the National College for DUI Defense, Inc., as he expounds on all areas of DUI laws, including, but not limited to information about DUI arrests, the science surrounding DUI laws, and how to choose the best Tennessee DUI lawyer to handle your case. Click here to subscribe to our podcast via iTunes. Detailed instructions on how to subscribe to a podcast may also be found here. The audio version of the podcast may be found clicking here and visiting our blog. 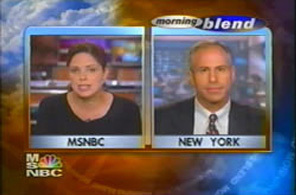 Finally, you may click here to view a video version of some of the podcast episodes.